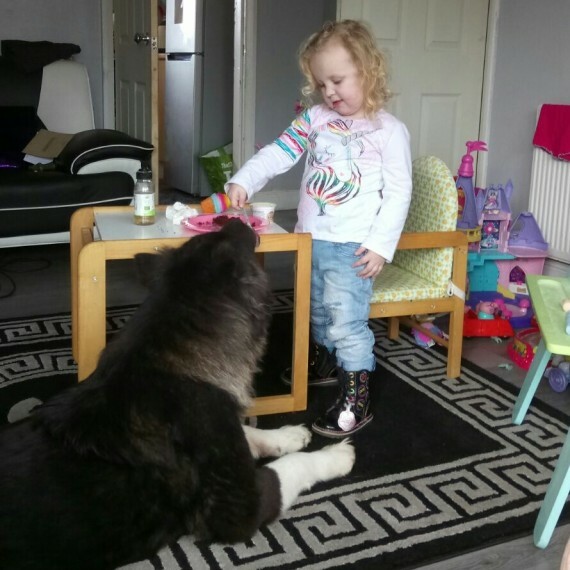 We have for sale well bred akita pups great markings on them.mother is long hair and father short hair and both are full akitas.They have great temperament with small kids and other dogs the pups will be ready on the 7th of July and they will come microchiped and with poppy pack.toys.food and a blanket. We taking 50 non refundable deposit to secure the pup of your choice. 5 females 1 male. the male is the one in a blue frame.no time wasters please.